Onam season is considered the biggest season for Malayalam film makers, thanks to the week-long holidays across Kerala. And this year Bakri Eid will also be celebrated at the same time, extending the holiday week. 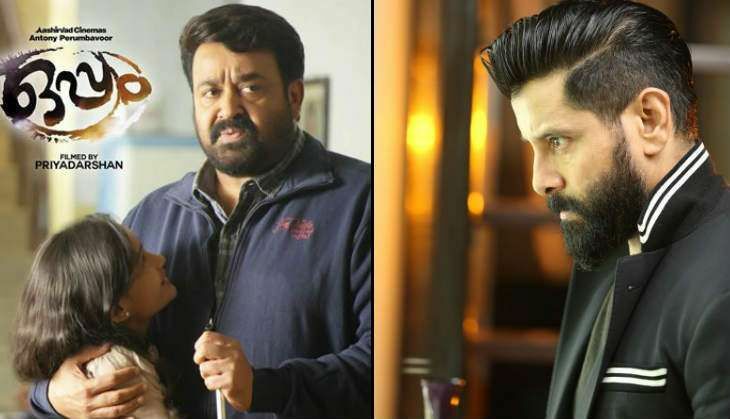 Cinema lovers in Kerala will be spoilt for choice this Onam (14 September) as six films are slated to hit the screens including those featuring two of India's biggest superstars, Mohanlal and Chiyan Vikram and two South Indian superstars, Prithviraj and Dileep. Six films are slated to release on the Onam weekend. 8 September will see the release of Mohanlal-starrer Oppam, Chiyaan Vikram's Tamil film Iru Mugan and Prithviraj Sukumaran's Oozham while Kunchacko Boban-starrer Kochavva Paulo Ayyappa Coelho and Bollywood film Baar Baar Dekho are slated to release on 9 September. Not enough? Then the Dileep-starrer Welcome To Central Jail will hit the screens on 10 September. Mohanlal's Malayalam dubbed version of Telugu film Janatha Garage is still running to packed houses at the Kerala Box Office, but the superstar's first Malayalam release, Oppam is set to hit the screens on 8 September. The film, directed by Priyadarshan and written by Govind Vijayan, is bankrolled by Mohanlal's friend Antony Perumbavoor under the banner of Aashirvad Cinemas. The production house also backed the hugely-successful Drishyam. Oppam is the tale of a visually impaired man who is unwittingly entangled in a murder mystery. The film also marks the Malayalam cinema comeback of popular actress Vimala Raman after a gap of eight years. The actress was last seen in the 2008 film College Kumaran, which also starred Mohanlal. Oppam will see the Malayalam debut of model-turned-Bollywood actress Devshi Khanduri. The film also stars an ensemble star cast including Tamil actor Samuthirakani, Anusree, Nedumudi Venu, Renji Panicker, Chemban Vinod Jose, Aju Varghese and Sona Heiden. Director Priyadarshan will be looking for a hit with Oppam as his earlier two films - Geethaanjali and Aamayum Muyalum - were disasters at the Box Office. The second big release of Onam is Chiyaan Vikram's Tamil film Iru Mugan. Chiyaan Vikram will be seen essaying dual roles, as Akhilan, a RAW agent and a transgender villain, Love. The Anand Shankar directorial stars Nayanthara and Nithya Menen as female leads. Iru Mugan is super hot in Kerala as it was evident when the actor kicked off the promotions of the film in Kerala last week. The actor's previous release, I, still holds the record of the top non-Malayalam grosser in Kerala with a record collection of Rs 19.75 crore. 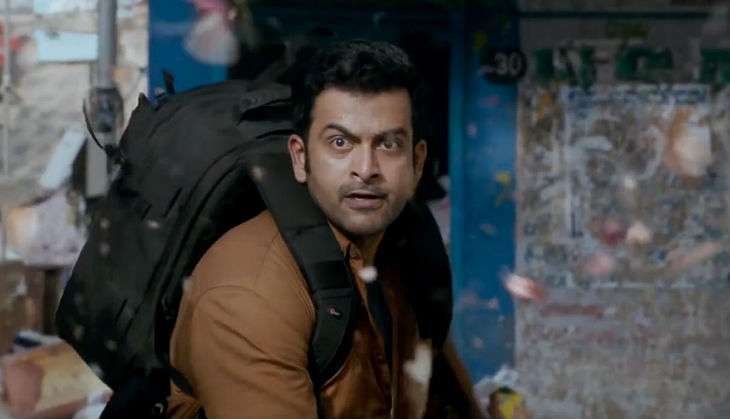 The third release of 8 September is the Prithviraj-starrer Oozham - It's Just a Matter of Time is out. Written and directed by Jeethu Joseph of blockbuster Drishyam fame, Oozham is a joint production of C George and Anto Padinjarekkara. It also marks the return of super hit actor-director duo, Prithviraj and Jeethu after Memories. Touted an intense revenge drama, the film stars Divya Pillai as the female lead. The film also stars Balachandra Menon, Seetha, Neeraj Madhav, Dinesh Prabhakar, Tamil actor Pashupathy, Irshad, and Sreejith Ravi in supporting roles. Rasna Pavithran of Mounam fame plays Prithviraj's sister in the film. With Oozham, director Jeethu Joseph will be looking for his fifth success in a row after My Boss, Memories, Drishyam, and The Life Of Josutty. Kunchacko Boban-starrer Kochavva Paulo Ayyappa Coelho is slated to release on 9 September. Written and directed by actor-turned-national-award-winning-director Sidhartha Siva, the film marks the return of Udaya Pictures, the first ever film production company of India after 30 years. The film stars Anusree as female lead. Recently, Kochavva Paulo Ayyappa Coelho got international recognition when the Brazilian novelist Paulo Coelho shared the first look poster of the film on hist Twitter page. The film also stars an ensemble cast including Mukesh, Aju Varghese, Nedumudi Venu and KPAC Lalitha. Kochavva Paulo Ayyappa Coelho will be an acid test for Kunchacko Boban​, who has had all-time bad luck at the Box Office ​with 10 flops in his last 12 releases. Apart from Vikram's Iru Mugan, another non-Malayalam film which is trying to battle it out at the Kerala Box Office is Bollywood film Baar Baar Dekho, produced by Karan Johar. The film stars Sidharth Malhotra and Katrina Kaif as main leads. The trailer and songs of the film are already a hit among the youth, which may help the film to shine well at multiplexes in Kerala, especially at Cochin multiplexes. The Nitya Mehra directorial will hit the screens on 9 September, 2016. The last film to hit the screen on Onam is Dileep-starrer Welcome To Central Jail. The film marks the return of Dileep with hit director Sundar Das after a gap of 14 years. Welcome To Central Jail is the current favorite with the audience to win the Onam battle, thanks to Malayalam Janapriyanayakan's back-to-back blockbusters, Two Countries and King Liar. Popular Malayalam film comedians Aju Varghese and Girirajakozhi of Premam fame, Sharafudheen are playing Dileep's friends in the film. The film also stars Renji Panicker, Mohan Jaose, Suraj Venjaaramoodu and Vedhika as main female lead. Welcome To Central Jail is slated to hit the screens on 10 September, 2016. Apart from all the above Onam releases, the Malayalam dubbed version of Janatha Garage is also expected to do good business during the Onam holidays. The film, which had released on 1 September, stars Malayalam superstar Mohanlal and Malayalam youth icon Unni Mukundan along with Telugu superstar Jr NTR. The presence of Laalettan and Muscle Aliyan has helped the film gain a larger audience to watch the action-entertainer flick, directed by Koratala Siva. Janatha Garage has so far collected a whopping Rs 3.50 crore from six days of theatrical release.